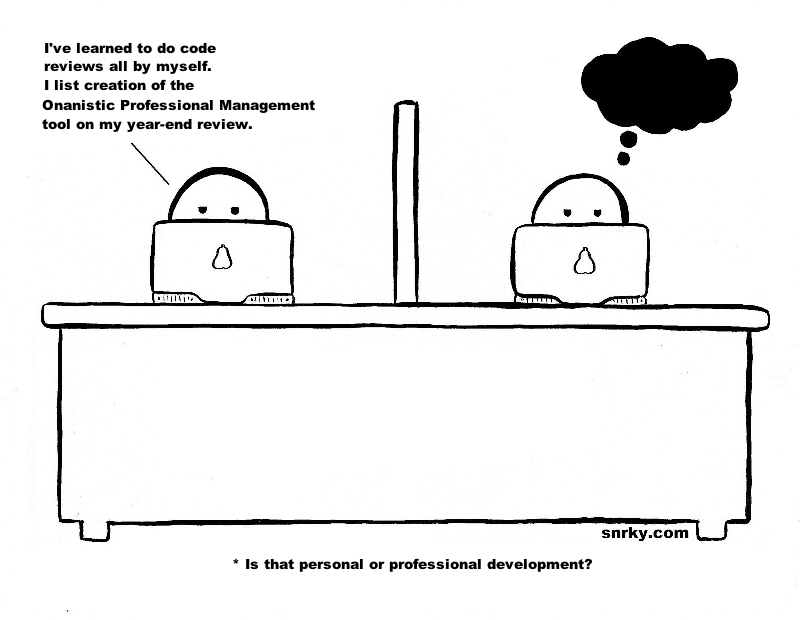 Snrky: Is that personal or professional development? Is that personal or professional development? If you work in a publicly held company, this means that your maximum raise and bonus have been determined before your personal performance has been assessed.